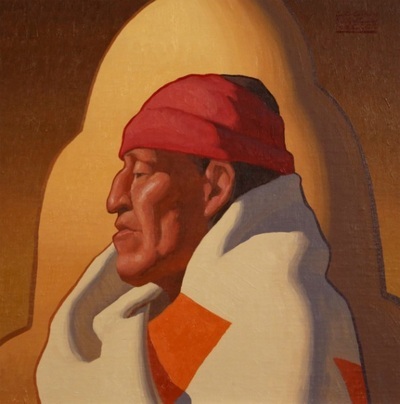 Logan Maxwell Hagege is a skilled artist who excels in depicting the figure and landscapes. Serious study in art started for Logan when early interest in animation sent him to a local art school, Associates in Art. 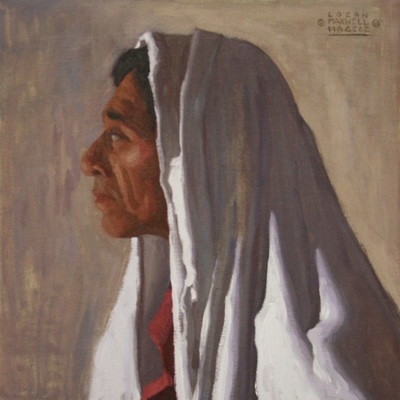 His interest quickly moved from animation to fine art while attending life drawing classes, and later the Academy’s Advanced Masters Program, which was modeled after the old time French Academies where students spent hours, daily studying from live models. Logan also studied privately under Steve Huston and Joseph Mendez. 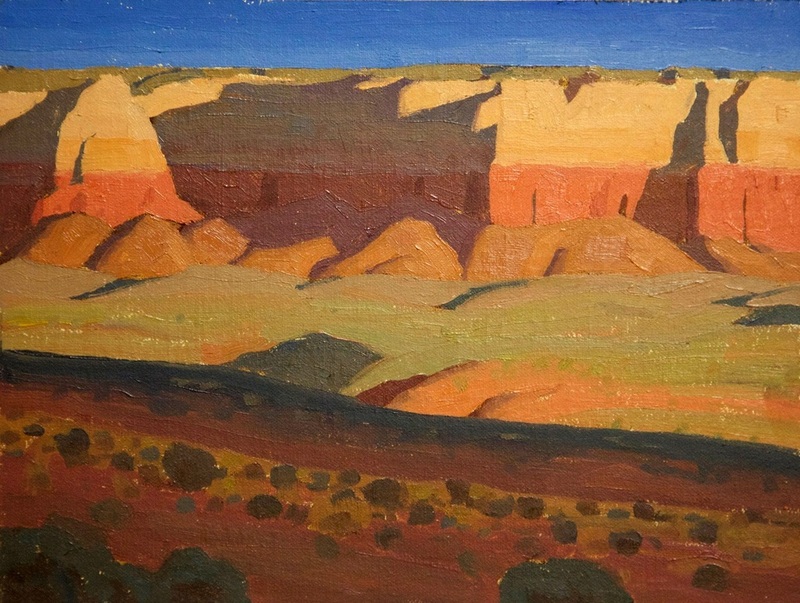 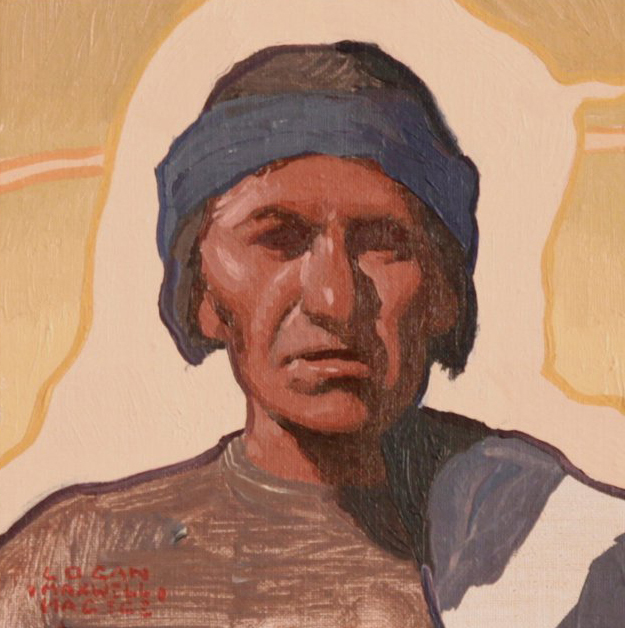 This artist has drawn inspiration for his subjects from his native Southern California as well as from his extensive travels to view various landscapes and peoples in the American Southwest. 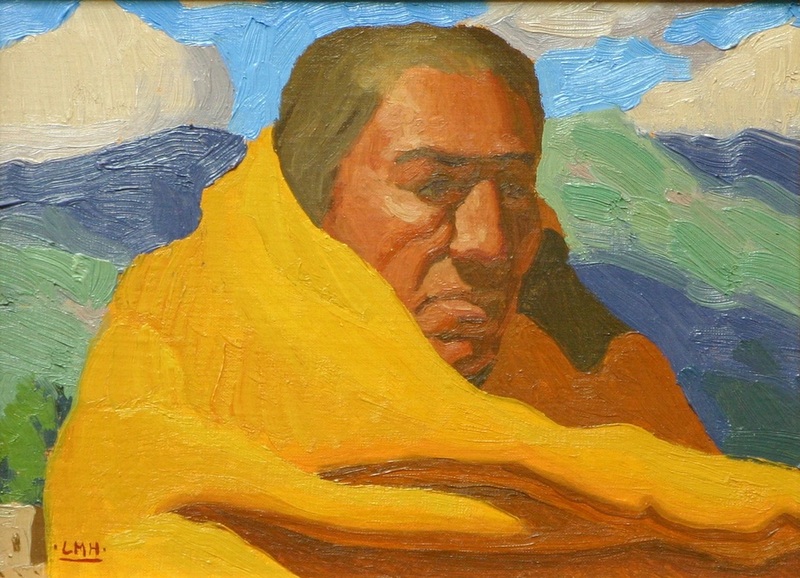 Logan finds encouragement and guidance in masters of the past such as Gustav Klimt, N.C. Wyeth, Maynard Dixon and Ernest Blumenschein. 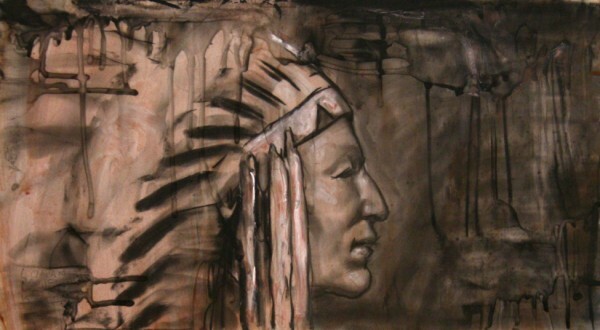 One idea that drives Logan’s work is that evolution in art is never ending. 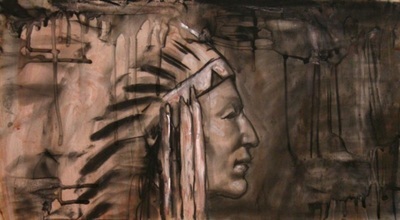 He is constantly challenging himself with new ideas and new ways of looking at the same subject. 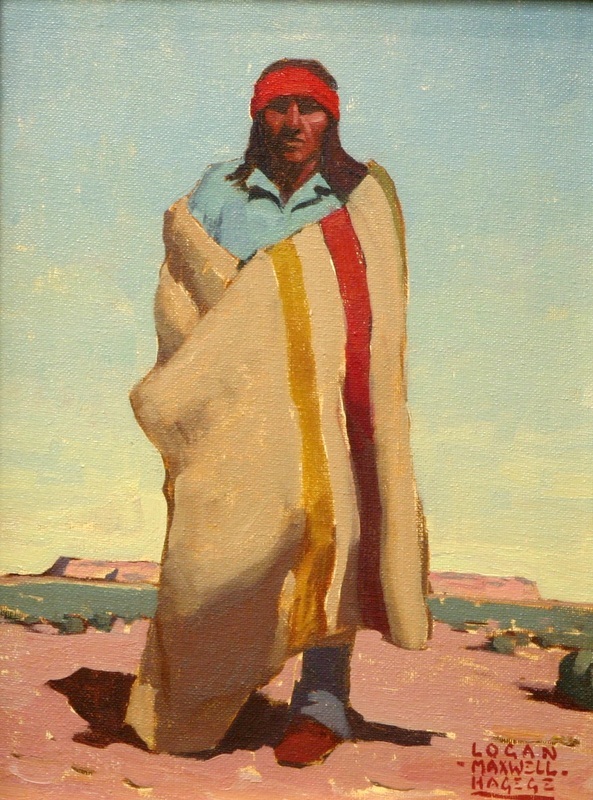 Logan currently lives and works in Los Angeles. 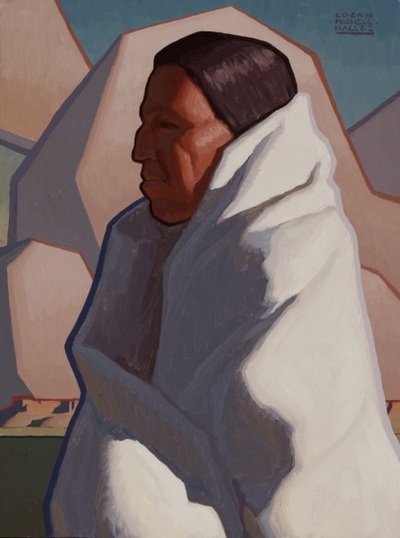 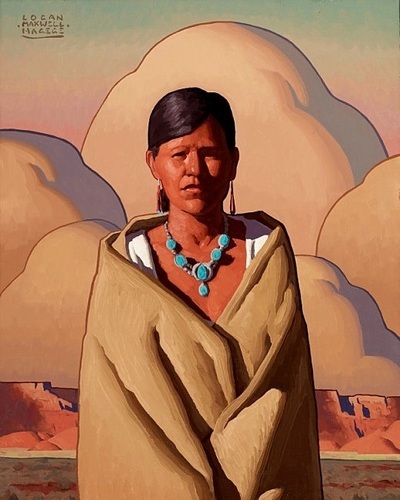 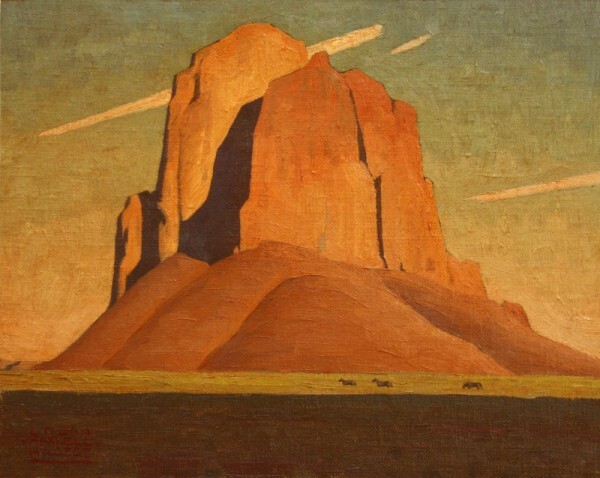 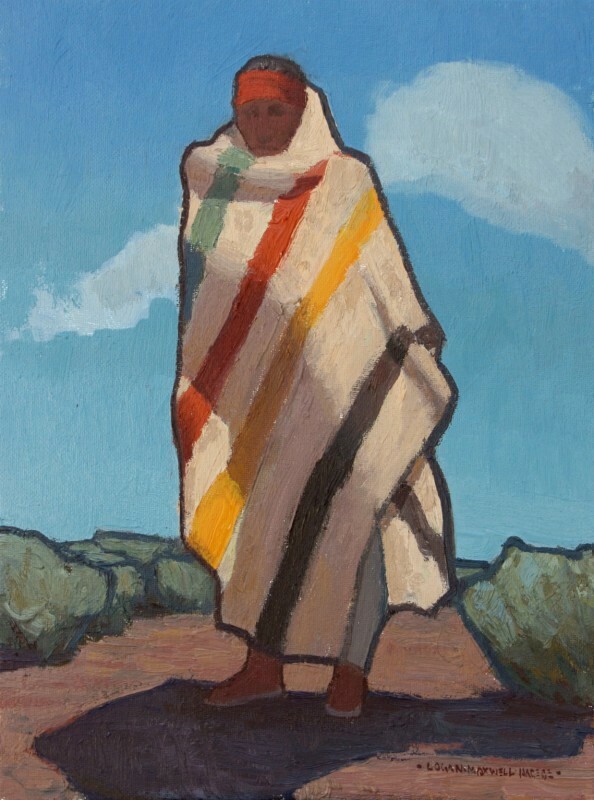 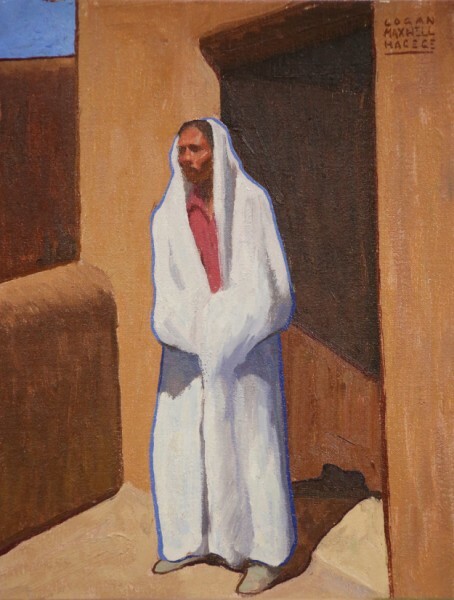 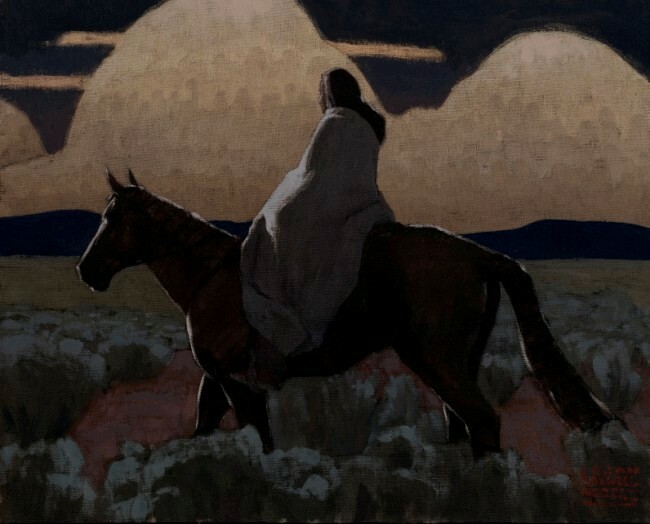 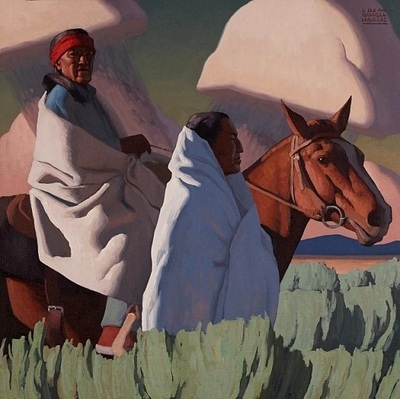 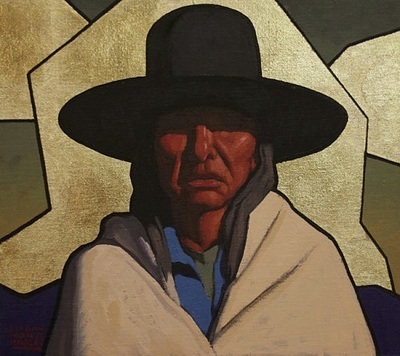 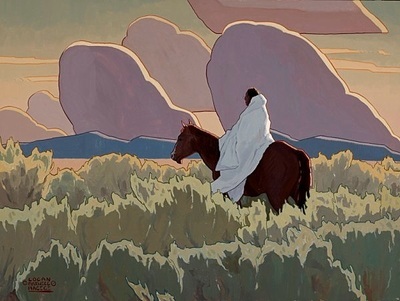 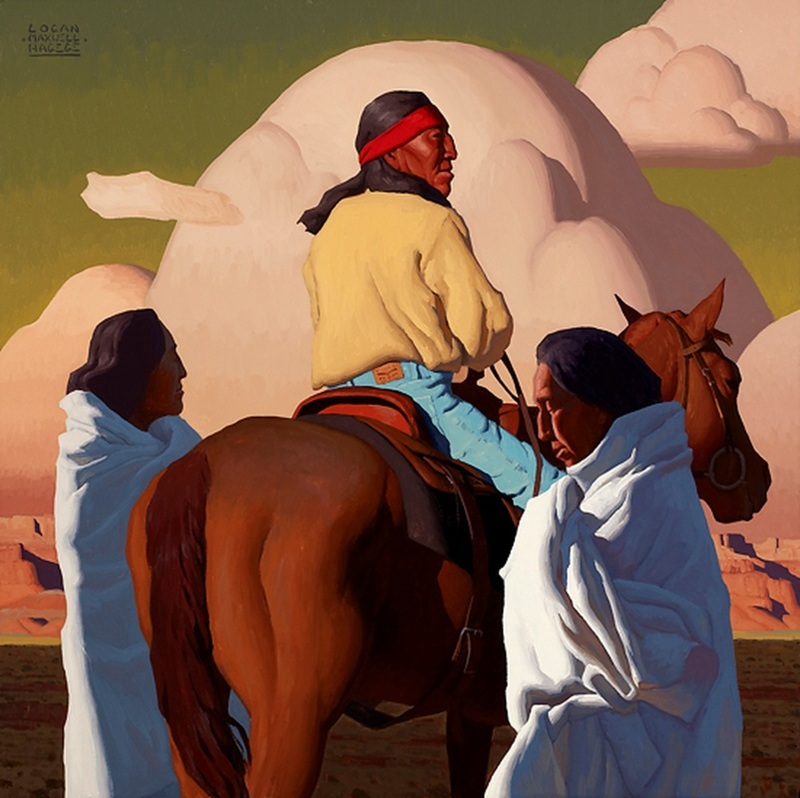 Logan has had several solo shows nationally, and has exhibited his work at the Small Works Great Wonders show at theNational Cowboy & Western Heritage Museum, the Coors Western Art Show and Sale, Maynard Dixon Countryand many other fine venues. Logan was recently invited to participate in the prestigous Masters of the American West Show held annually at the Autry National Center. He has won several awards including Best of Show at the Boldbrush Art Competition, Best Oil at the Carmel Art Invitational and Best Quick Draw at the Sonoran Desert Museum Invitational. 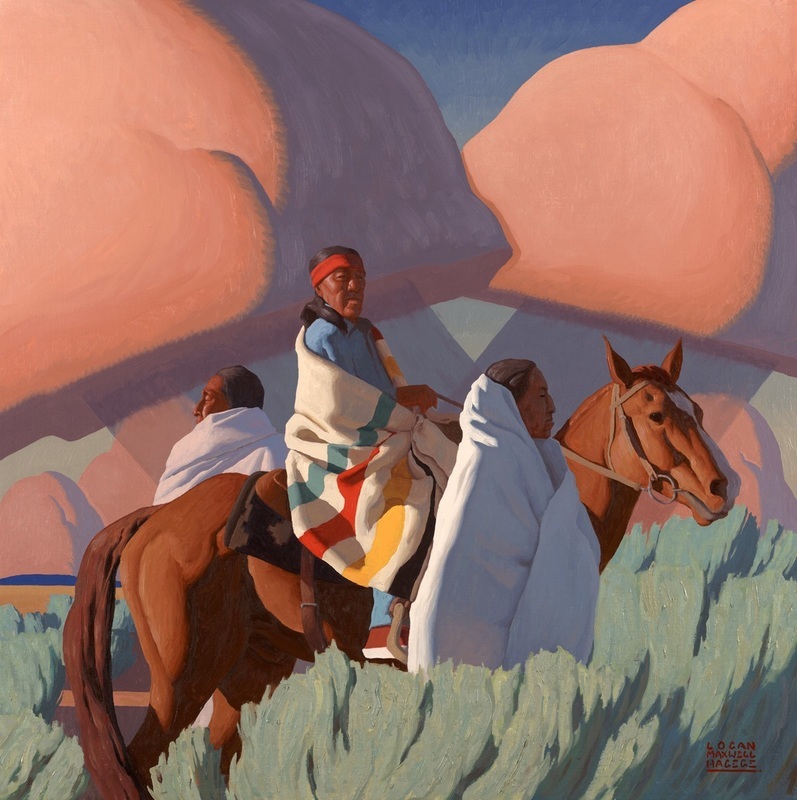 Publications that have featured Logan’s work include, Southwest Art Magazine, American Art Collector Magazine, Art of the West Magazine, Western Art Collector Magazine and a coffee table book, Art Journey: New Mexico. 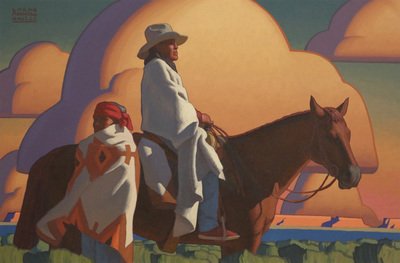 The painting, “With the Sage and Clouds” by Logan Maxwell Hagege was recently acquired by the Bone Creek Museum of Agrarian Art, and the Booth Museum of Western Art recently aquired a large oil titled “Shadows on the Mountains.” In the Fall of 2012, Hagege will have a Solo Exhibit at the Bone Creek Museum of Agrarian Art.